Children learn how to develop their skills from a very early age through playing. Hence, it is quite important that they have the right toys that help them discover and polish a variety of abilities that are crucial for their life. 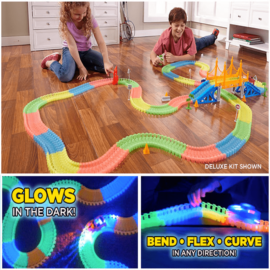 Educational toys evoke curiosity in children and make them explore while learning. It is important to choose the right type of toys so that your kid can have a variety of fun activities that facilitate their development. There are educational toys for each age and their purpose is to help a certain skill that is crucial for that period. We can call the educational toys smart toys as well but not because of any super powers or artificial intelligence they possess. 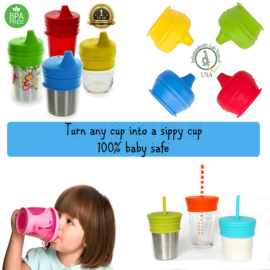 They are great because they help kids with their motor, social and intellectual development. Educational toys are specifically designed to promote and facilitate development by challenging the kid to achieve certain results while having fun. The child plays and learns at the same time, which makes these toys so loved by both parents and kids. Investing in educational toys is a smart move as it is scientifically proven that learning through play is important and the most natural way of acquiring new skills and abilities. Selecting the right educational toy to match your kid’s age along with your love, attention, and support is one of the best gifts a parent can make. Children play because they like it and the best way to learn is by having fun and without even realizing that they do it. There is a great variety of educational toys that focus on developing different abilities. To be educational, one toy doesn’t need to be complicated or look fancy, though the latter helps to catch the kid’s attention. Educational toys are designed in such a way that they can promote the development of various skills depending on the age of the children. Based on that criteria we can differentiate between toys for babies, toddlers, preschoolers, etc. While growing up, the children learn about the world surrounding them and at the same time discover their strengths and skills. Remember the fascination of a baby who realizes that they have hands and can grab things with them, even though quite clumsy at the beginning. With the help of educational toys, children unlock their potential quicker while having fun. Toys help kids develop their motor skills. The baby who tries to reach a colorful toy and crawls to get it develops their gross motor skills. At this age, it is important to have toys in bright colors that can grab their attention and make them move around, exercising their whole body. Toys should be soft and light so that the kid can lift them and even carry them around. Fine motor skills are also developed through play. Toddlers love educational toys such as building blocks, musical toys or those that challenge them to put an object in the matching hole. Such educational toys develop hand-eye coordination, which is the vase for reading and writing at a later age. Children use toys and games to develop their cognitive skills from a very early age. Toys can help children learn to speak, especially those that tell stories or repeat words. Shapes and colors are better differentiated through playing different games with them and basic counting skills come with grouping objects together. As children grow, their interest in toys also changes. They love puzzles, memory and board games that help them develop problem-solving skills, train their memory, concentrate or work independently. The parent can also participate in these games as a partner or role model, when necessary. A vital ability the children need to learn is how to recognize and cope with their emotions. The first step is to teach them to express how they feel. This can be done through cards with emotions or by telling stories. We can make kids finish sentences such as: “When I have a birthday party, I am…” or “When Ben takes my toys, I feel…”. With preschoolers and bigger children, you can have different role plays and play make-believe games, which develop their imagination and creativity. Board games are also a good way to teach children to lose and cope with that feeling, а puzzle can teach them to patient and calm. Social skills can be developed and built upon with the help of educational toys. Babies learn how to treat others by initially playing with toys. Then, they use their skills at the playground or at the kindergarten. Some of the most important skills to acquire include taking turns, sharing, working in a team. Educational toys and games are very useful in nurturing these skills. Even when playing on their own, children learn how to take up different roles and how to take initiative. Playing with bricks, for example, can help kids develop their planning skills. They need to plan the layout of the building and then proceed in achieving the desired construction. Throughout play, they can learn to be flexible as well. Empathy is also an important skill to learn at a very young age as it is an intrinsic part of social intelligence. 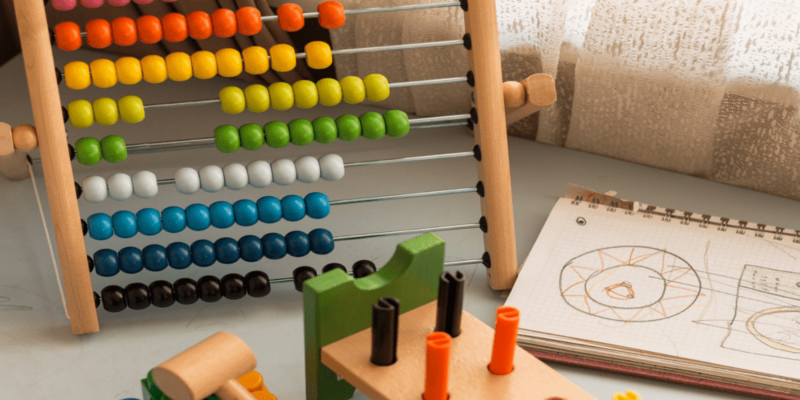 Which are the best educational toys? The best educational toys are those that match your kid’s interests, preferences and challenge their abilities. The toy shouldn’t be too easy to solve or play with as the kid will soon lose interest. It shouldn’t be too complicated either, as it may put off the kid from trying. Hence, educational toys are divided into age groups. Most of the children are attracted by arts and crafts. Introducing them at an earlier age helps your kid develop their fine motor skills but also discover a talent that you can further develop. Educational toys are usually designed in such a way that they do not limit the creativity of the kid. Many of the puzzles and games can be solved in different ways or the kid can use one toy for various activities. There is no right or wrong educational toy as long as you see that the kid is having fun playing with it. A good suggestion is to introduce toys that are not so familiar to the kid so that you can facilitate the development of all skills and challenge a bit their curiosity. Here is a list of some educational toys that you can find on our website and that can be a perfect gift for Christmas, Easter or a birthday celebration. Kids love to build and experiment with new forms and shapes. Our crazy bricks are specially developed for little engineers who love making their own toys. They contain 81 pieces, including electric component parts that can make the machines and vehicles your kid builds actually move. The bricks are great for enhancing logical thinking and problem-solving skills in a fun and friendly way. The bricks are super easy to assemble and offer millions of possibilities – houses, buildings, cars, machines, basically whatever the kid likes. Building with our crazy bricks helps promote several skills include fine motor skills, and cognitive skills by challenging the kid’s imagination and creativity. There is a reason why this wooden Tetris puzzle is called a brain-teaser toy. 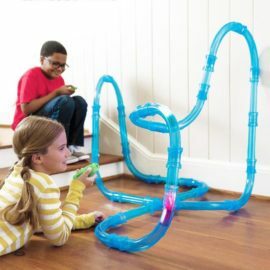 Developed to challenge the skills of both kids, aged 3 and above, and adults, this toy promotes the development of critical cognitive skills that will be useful in kindergarten, school, and life in general. The wooden Tetris is a great equivalent of the digital game and gives your kid greater satisfaction of playing with a real toy. It is made of high-quality wood and painted in bright colors with non-toxic paints so that it is absolutely safe to play with. 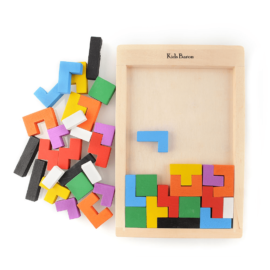 The main benefits of the wooden Tetris puzzle, besides being a fun game, is that it teaches the kids to coordinate, builds patience and helps with eye-hand coordination. The blocks train kids to recognize shapes in their three-dimensional aspect and sets the base for good mathematical and analytical skills. It develops fine muscular coordination and promotes problem-solving skills. 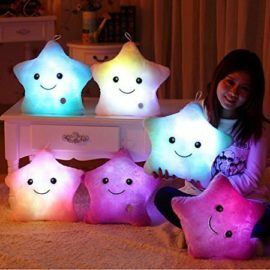 It is a great educational toy suitable for kids of different ages. Science has found out that children start learning a language at a very young age and actually this is the time they build a solid foundation and accumulate the greatest knowledge. Language education quite often happens as a game and the alphanumeric foam letters that we offer are perfect for that. They are made of high-quality foam and can be used virtually anywhere. The set consists of 36 pieces including the letters from A to Z and the numbers from 0 to 9. The foam letters are ideal for playing in the bath as they stick to tiles. Thus, your kid associates learning with fun, which is a good benefit for their entire life. Building is a game that is suitable not only for toddlers and preschoolers but also for kids who have started schools. The building magnets that we offer are a funny way to help your child develop their cognitive and motor skills. 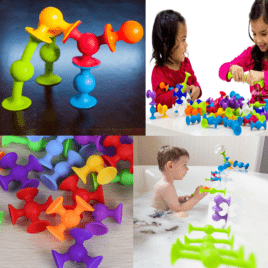 The set of 32 pieces offers numerous options to build and reengineer shapes and figures. Some of the main benefits of the Building Magnets include enhancing problem-solving skills along with fine motor skills and coordination. They prepare kids for kindergarten and school activities by teaching them to recognize shape, color, and giving them better spatial awareness. Children rely on their imagination and creativity and learn how to stay focused and be patient. DIY activities for kids are a great way to promote their love for science and let them use their imagination in a creative way. The set of solar energy powered educational toys that you can find as a special offer is a fun way to learn how solar panels work. Your kid can assemble a solar robot that has six different working models including Solar Revolving Plane, Solar Windmill, Solar Plane, Solar Airboat, Solar Puppy, and Solar Car. The solar battery used for the models has a life-span of about 3 to 5 years. Note that this toy is not suitable for kids under the age of 3 as it contains small parts and thus poses a choking hazard. Children between 3 and 10 years should play with the solar robot in the presence of an adult. Music helps the overall development of a kid from the earliest possible age. Hence, a nice set of musical instruments is an excellent educational toy for a first birthday present. The set includes one drum with drum sticks, one trumpet, one handbell, two cabasa, and a play-along CD. The instruments are in bright colors and decorated with beads to make playing with them even funnier. They help building fine motor skills and encourage creativity. The lovely sounds will develop your baby’s early music skills and keep them entertained and thrilled to play a different instrument. There are educational toys that focus on building a specific skill and the little wooden shoe that represents the Montessori Shoelace Tying Learner is one of them. The toy is developed based on the educational concepts of Maria Montessori and is designed to be a perfect fit for the little hands of your toddler and preschooler. Teaching how to tie shoelaces is a funny game with this Montessori teaching aid. Suitable for kids between 2 and 8 years, the toy helps perfect motoric development. The concept of time is quite hard for young children and parents often find it difficult how to teach them. With our wooden clock, that job is much easier since it combines a colorful puzzle with a clock. Made of 100% natural wood, the clock is fun to play with and makes teaching time a joyful activity for both kids and parents. The blocks with the numbers are a puzzle that needs to fit and that helps eye-hand coordination along with concentration and memory. This is a toy that combines two activities into one, thus facilitating learning through play and fun. Add magic to drawing and you end up with the perfect educational toy that inspires creativity and allows your kid’s imagination run free. With our Magic Drawing Mat, all you need is some water and the fun can start. Your child can draw and doodle as much as they want. Their drawings will disappear once they dry out and the mat is ready to be used again. The pen is easy to refill with water and your kid can draw in colors using red, blue, green, and yellow. Drawing is one of the most creative activities that can help your kid not only improving its motoric skills but also cope with their emotions and learn how to express themselves in a healthy and creative way. 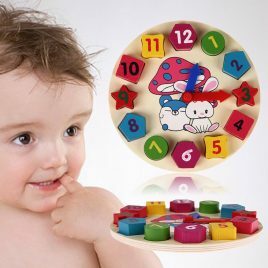 [space_20][circular_countdown settings_id='5']$19.99 - NOW FREE Wooden Time Learning Toy ClockThis eco friendly and 100% natural wood product is a must-have for all parents and kids. Learning and teaching the time can be a tough task for both children and adults. 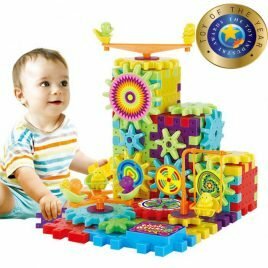 But it is scientifically proven that learning happens much faster and easier when it is combined with a playful experience.That´s why we created this colorful puzzle that is the perfect combination and your child will learn the time easily without even noticing this.We are doing a special promotion and are really giving away this hot product for absolutely FREE. You just have to support us with shipping and handling.